The countdown is almost over. 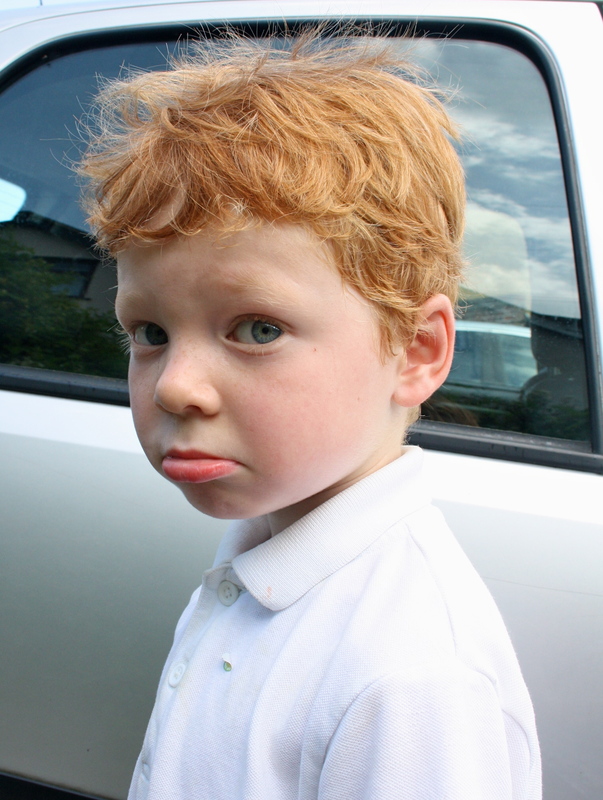 Never mind the sleeps, there are only three more drop-offs to go until the summer holidays. 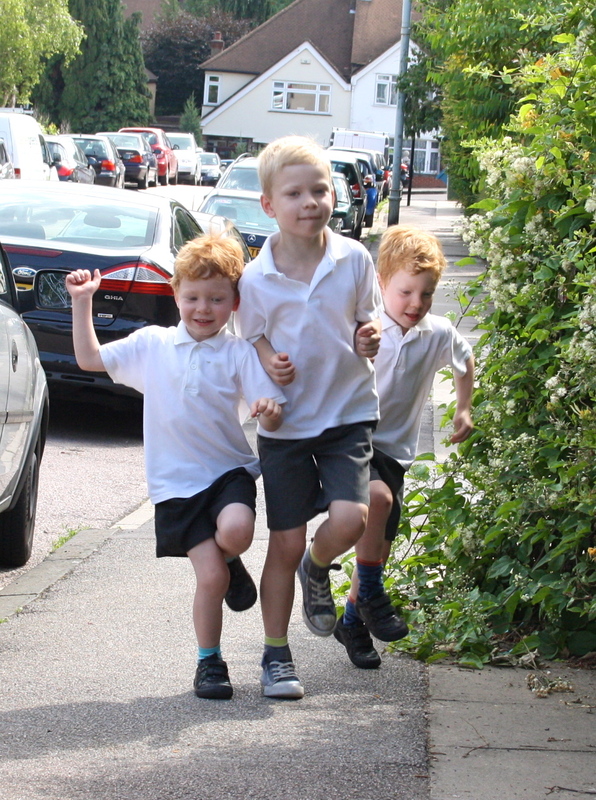 And while six weeks in each other’s company is not always the bliss I imagine, the relief of being released from the nagging, cajoling, comforting and threatening that is needed to drag the boys from their beds to the school gates on time each day is compensation enough. It is only the knowledge that the term is almost over that prevents our already glacial journey grinding to a halt altogether. Chief holiday cheerleader is Kit, five. Having finally woken, he opens both eyes and sits up. “Is it the holidays yet?” he asks. The answer, alas, sets off the first strop of the day. Ignoring it, I get out his and Alec’s shirts which until a month or so ago had seemed white and rather smart but are suddenly grey, grubby and sporting a yellow sun cream tide around the neck. There is a brief locking of horns over who wears the Friday socks before a relatively civilised descent to the breakfast table where Harry, seven, is already eating his cornflakes. While I fetch the Weetabix, Kit gets in a sneaky joke (in contravention of a Bomford HQ cardinal rule). “That’s what I said!” shouts Alec. Harry intervenes to try to explain, but Alec cuts him off. Sensing that the rules are up for renegotiation, Alec then starts to demonstrate the school’s Brazilian song that everyone has been learning for assembly. Rather than all sing together, Kit and Harry add their versions on top of Alec’s, each slightly out of time and, of course, tune. Against this cacophony can be heard a little squeak. It is my voice. I go to the mirror and breathe on it to establish some proof of existence. “Kit, you’re singing over me!” shrieks Alec, much to Kit’s amusement until he realises Harry is doing the same to him whereupon he shouts, “Stop Harry!,” before running from the room crying. My husband sounds the 10 minute warning and the boys are herded upstairs to brush their teeth. I accompany them while he waits downstairs ready to slap on sun cream and shoes. “Five minutes!” he bellows, two minutes later. To say that the children respond to our order-barking would be an exaggeration. In fact, no one appears to have heard a word. The greater the urgency, it seems, the slower they become. “Did you know that Minnie Mouse is a girl and Micky Mouse is a boy?” asks Kit between brushes, oblivious to the sound of pacing downstairs. Alec has poked his toothbrush down the plughole and Harry is brushing his chin. My husband appears in the bathroom looking tense and ushers Kit towards the stairs. A few seconds later I hear Kit say: “Halt. Password!”. There is a pause as my husband tries to remember previous ones in order to open Kit’s ‘barrier’ and get down the stairs. I sense Kit’s barrier may get blown off its hinges shortly. Luckily Harry comes to the rescue. “Click your fingers,” he shouts and my husband is allowed past. His tread sounds rather heavy on the stairs. Alec is missing. I find him in his bedroom sorting out his Pokemon cards. “I can’t find my best card,” he says wobbily. This is clearly a problem that can’t be hurried. “One minute!” shouts my husband from below. Thanking the lord for the fact that none of my sons is capable of finding anything located more than two centimeters from where they are searching, the card is quickly retrieved from under a nearby pile of World Cup stickers. We rush down the stairs and I try to jam on Alec’s school shoes – not easy as one sole is flapping. The front door is already open and Harry is standing outside. I finally get the shoes on and turn round. “Actually, I think it’s more of a brick than a crystal,” he says, tossing it into the flowerbed. Kit emerges from the kitchen clutching the packed lunches, prompting Alec to run crying into the dining room. “It was my turn to carry the lunch bags,” he wails. By now my husband is quite agitated. One minute is definitely up. Kit is persuaded to give Alec the lunch bags and they head for the door, trying to trip each other up. “OUT!” roars my husband, just as one of Harry’s classmates and his family walk past our front gate. “Hi!” we beam in unison. My husband hoists the school bags onto his shoulder and trudges off down the path. Squeals, laughter and the sound of a lunch bag being used as a football can be heard all along the road. I close the door. Silence. Only three more days to enjoy it. This entry was posted in Mealtime, school, shouting and tagged breakfast, meals\, school, school run, shouting by jessicabomford2013. Bookmark the permalink. Fantastic read. I had tears of relief to see that ours is not the only household like this! before writing. I have had a hard time clearing my thoughts in getting my ideas out.